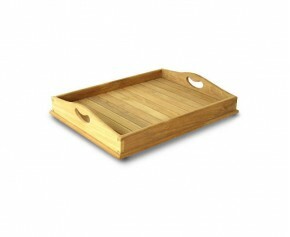 Teak dining trays work as functional items as well as stylish accessories and would be ideal in any outdoor setting. Providing plenty of options for dining al fresco and garden entertainment these solid wooden serving trays with handles feature raised sides for ease of use and to prevent spillages. A garden favourite, these teak serving trays with cross slats have been expertly manufactured in sustainably sourced, Grade-A teak to ensure aesthetic appeal and durability for years to come. 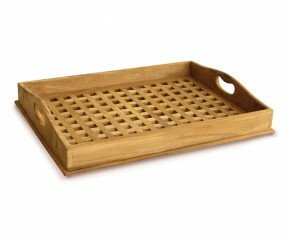 Our wooden teak serving tray - straight slats is crafted in durable plantation teak for long life and aesthetic appeal. Ideal for serving drinks or afternoon tea on those lazy hazy days of summer!